As a designer running a creative business, having a specific design process can be one of the most important parts of your day to day life. It can be the main thing that dictates your workload and attract new clients who like the way you work. When I planned my recent website and business relaunch, something I was desperate to update and streamline was my design process. My previous process was, if I’m being kind to myself, disorganised and if I’m being completely honest, a huge mess. 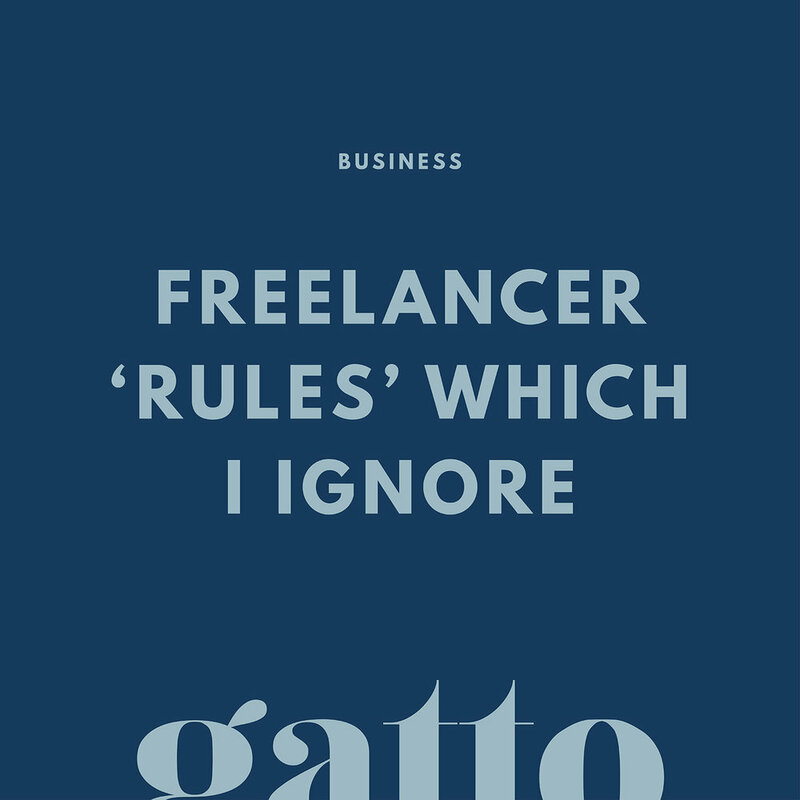 It was an area I had improved in small amounts over the 18 months of being a freelance designer but it still wasn’t completely perfect. I lacked specific deadlines, efficient communication and most importantly an end date which meant projects could be going on for months. I put all my effort into carefully creating a design process which is a positive experience for both me and my client and something which we can both enjoy and work on together. 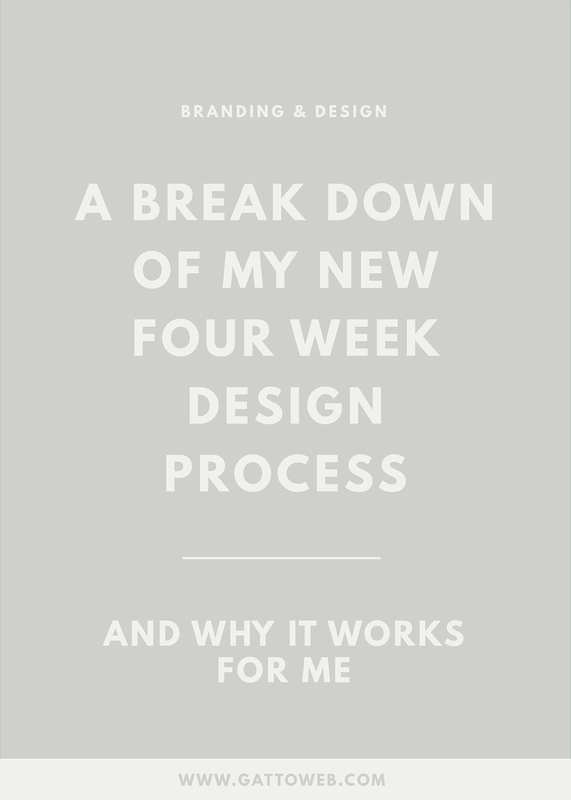 The process I have landed on and love is a four-week inclusive design block in which all prep and design work is completed. Before the design process takes place, I will have initiated conversation with the client via email and then had a one-to-one conversation either over the phone or Skype to discuss their project in detail and what they want to achieve by working with me. This will mean I can get to know the client and their business and if my design style will be a good fit with their brand. Once a project has been discussed and agreed, they will be booked in with a four-week design slot at my next availability by signing a contract and putting a 50% deposit down. When the ‘business part’ is done, we can get excited for the designing and both the client and I will start to envision the brand and design until the design slot arrives. When the time comes, I implement the four-week design process which encompasses all parts of the branding and website design. The client receives an in-depth homework sheet to complete which will outline brand values, inspiration and design style. Accompanying this will be a Pinterest board that the client will use to curate images, colours and styles; making sure they describe why they like each element and what they think would fit in their brand. I have included this step in the first week of the design process as it means the client can plan the time this takes into their schedule with the design and they then don’t have to take too much time out (us creatives live a busy lifestyle!) and it won’t be rushed. Throughout the week, I will check in with the inspiration board and let the client know which areas they could add a bit more information into and ask a few questions about their choices. Using the inspiration board and homework the client has handed over, I can create an initial brand mood board and colour scheme which will dictate where we go from there. The mood board will be made up of images from their business, inspiration board and usually gives me the inspiration for the next steps. On to my favourite part of the process – the designing! This is where I can really get stuck in with the branding in its entirety and a crucial part of most businesses. I start the first few days by creating logo options for the client, usually three or four. I think any more than this and you give too many ideas to choose from. Once the logo design is decided and finalised, I can get started on any collateral items the client has decided on. I recommend that the client goes through their creative process before deciding which items they want as at first glance, it can be difficult to see what you want. For example; my design process starts with client on boarding which requires an invoice, proposal and branded client homework, I obtain clients through social media and blogging which requires social graphics and branded blog graphics, my main form of communication is email so an email signature is handy and I visit clients in person so use business cards to keep in touch. Week 4 – Website Design on Squarespace and Launch! The final part of the process is a new addition, a Squarespace website design. Squarespace is a beautiful platform for designers and creatives and, in my opinion, the best platform to work on. It has a wide range of already made templates which I can use to change around and make the perfect design for my client. I will already have an idea in mind for the design which will help me choose which template is best and once the branding is complete, I have the basis to create an amazing creative website. The client will have sent me all their website content (text for pages, photography, a flow of the pages etc.) so I can now put all this information together with the colours, logos and branded items. Once the full design is complete, everything can be transferred over to the client including access to the website, all branding files and collateral items and we can officially launch the rebrand and website! There you have it, my complete four-week design process from start to finish! My new process is something which really helps my business become more streamlined which benefits both me and my new clients. My schedule is now much more organised and predictable which means I can arrange my whole life better. What is your design process? Have you found a way to streamline your schedule?